All-In-One Home Solutions are your local experts for complete roof replacement. We service a wide variety of roofing materials and give you a durable, high quality roof that will perfectly complement your home and last for years to come. Let us help you give your home a beautiful new roof that will keep you safe and dry. Call us today at 1-844-385-7881 or click below for a free estimate on total roof replacement or any of our roofing services! "Though we encountered a few small problems they were right on top of it..."
Though we encountered a few small problems they were right on top of it and fixed the problems with no fussing on our end. Very pleased with the whole process and our roofs (house and garage) look awesome. "Chris was very focused on making sure we were educated and that we..."
Chris was very focused on making sure we were educated and that we understood all of our options. Call All-In-One Home Solutions today if your roof is displaying these signs. Our expert roof inspection can tell you if you need a full replacement or if repair and maintenance is a better option for your home. All in One was the perfect choice for this project from start to finish. The attention to detail was just amazing. We had them repair our roof a while back and knew the time would come to use them for our new roof installation. From the beginning, dealing with Harmony on scheduling, it ran as smooth as could be. Jeremiah came out for our estimate and sales and showed us things about shingles/roofs that I never knew existed. The roofers, including Jeremiah, showed up on time and were very courteous! They finished our roof in only 2 days with no mess, just our amazing new roof! They even installed a special vent for better ventilation in our attic to protect the life of our investment.As well as setting up our Directv dish! (again, it the tiny details) I really can not give enough praise here explain the care and detail that this company put into our home. 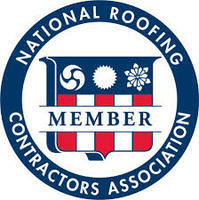 If you are looking for a new roof or roof repair, these are the people you want. Thank You to the owners Jeremiah & Harmony, and to the great workers you employ! Tammy G.
Thank you for the wonderful job! We are very pleased with the results. Chris is a wonderful person to work with. Rest assured we will be recommending your company to others. This company was fantastic. Very reliable, neat and professional. Very impressed! Crews arrived on time -- went to lunch and back within one hour. Worked hard, no chitchatting -- all business. A very happy customer! If you think it might be time to have your roof replaced, contact All-In-One Home Solutions today to have your roof inspected by one of our experts. We proudly serve in Salem, Roanoke, Bedford, New Castle, Goodview, Buchanan, Elliston, Wirtz, Glade Hill, Fincastle, and throughout the surrounding areas.